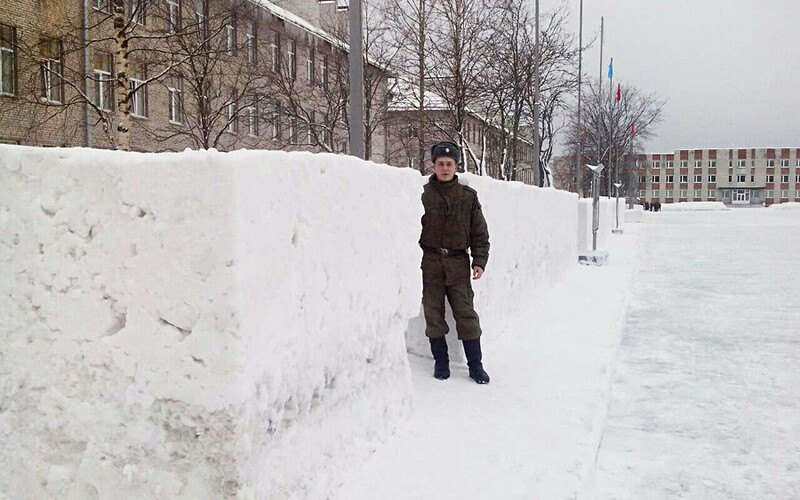 Servicemen of Russian army unit #2050 rub themselves with snow. Russia Beyond’s correspondent is sharing his personal experience of being in the army. By the time I joined the Russian Army I was much older than the average recruit. At 25 I had eluded obligatory military service for years. But being born into the family of a career officer and war correspondent, I had also endured a sense of guilt for failing to meet my duty in serving my motherland. So I decided to join the military and endured the pressures of service. Some tasks are enjoyable: Running, crawling in the dirt, shooting machine guns, sniper rifles, etc. But there are some things you have to do, things that nobody can logically explain. Here’s a list of some of the strangest. Winters in Russia can be tough. They can be achingly cold so running during winter storms carrying rifles and backpacks brings no joy. But with winter also comes additional work at your military base. In the army there’s no such thing as “I don’t want to” or “I’m not going to” - so you take your shovel and clean snow from the base...tons of snow. Literally. What’s more, the snowbanks you make have to be perfect. They need to be level and two meters high with smooth sides. Yes, you read it correctly. Sometimes when you run out of shovels, officers command you to use lawnmowers instead. Or sometimes you should clean snow the old-fashioned way - with a scythe. Making everything neat and clean is a huge part of soldiers’ lives - especially in the morning. This applies to soldiers from all countries. Check out this U.S. marine showing a reporter how to make a bed. 4. Guarding entrance to the barracks - alone on a pedestal. Officers are supposed to know everything that’s going in their barracks and what each of their soldiers is doing. So everyday one of the company stands on a pedestal at the building entrance for a 24-hour watch. He notes down everybody coming and leaving, announces officers' commands, and never leaves his post. Even at night when the rest of the company is sleeping in their beds. 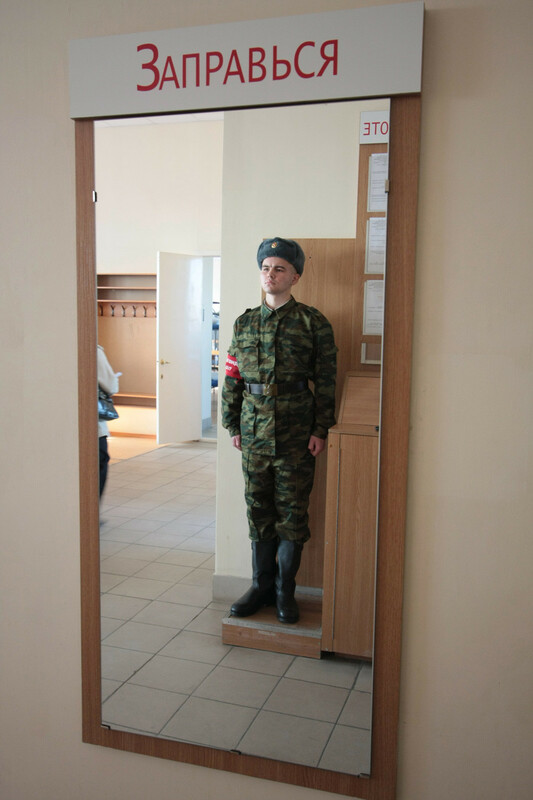 Barracks soldier is on duty at Patriot enlistment office in Kazan. “One of the most pointless and unpleasant parts of service. Your ankles hurt, you want to sleep and, on top of that you have to clean the entire barracks after 180 men. I hated that,” said former corporal Eugene Mkhitaryan, who retired from the military service two years ago.